We are pleased to announce the first beta release of JqMagick. 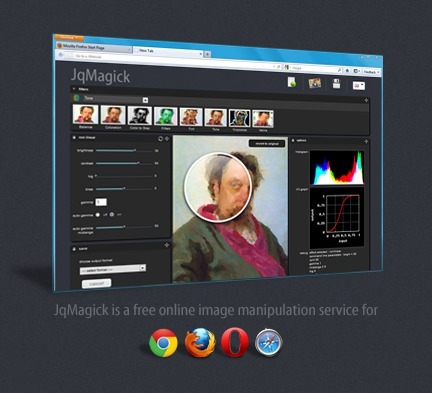 JqMagick is a web-based Imagemagick application with an interactive Jquery/PHP/CSS front end. While this product is still in development and does not include the full complement of functionality, we are hosting a beta version for users to try out and give us feedback. We would like to thank Cristy for letting us host this project on his server using the latest IM build. Last edited by fmw42 on 2013-01-27T14:19:46-07:00, edited 2 times in total.